To Wolfie, who totally gets credit for the Gorenado on my recent post about alternate Sharknadoes. And yes, I'm still taking suggestions. 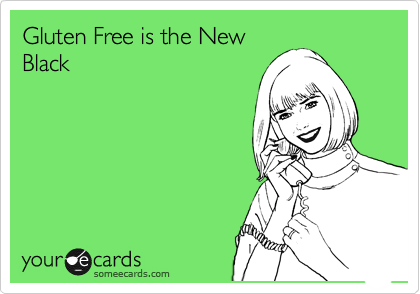 To Bestest Friend, who has been told by her doctor to give up sugar and gluten. Personally, I'd rather die young than forego Cheezits and pizza, but I'm behind her 100%. Keep her in your thoughts, because she's my bestie and I want her to be happy and healthy. To Lexus: Thank you for making a car that looks exactly like my beautiful Benedict Cumberhatch, but costs twice as much. Because maybe my little Ford Focus will conk out after 10 years and your car will last 20, but I can buy another one and still come out even. And I bought American and I can afford the payments and I love him. So thanks. and except for the logo, you could not tell the difference. To Drummer Boy: I want the whole world to know how much I love you. Unfortunately, the whole world doesn't read this blog. But it will have to do. Thank you for saving me from the monster in the woods. And finally: To all my Drunkards, thanks for reading. I can't believe anyone at all reads this blog, let alone the slowly growing number of folks who stop by. There will never be a day when I'm not gobsmacked and grateful for your time and your feedback. As a token of my appreciation, I got you a monkey sharpshooter to protect you from Internet trolls and bad juju. OHMYGLOB! 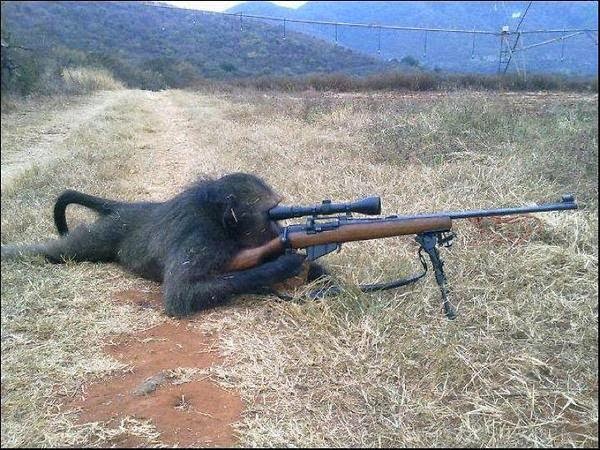 I NEED THAT SHARPSHOOTER MONKEY!!! Tell bestest friend that she's in my thoughts, and I will forever dedicate every piece of bread or anything sweet for the rest of eternity. In fact, my birthday is on Monday and I'm going to attempt a tye-dye cake. I'll think of her while I eat the hell out of that for dinner, breakfast, lunch, and then dinner again. It was very nice of you to do a shout-out post. 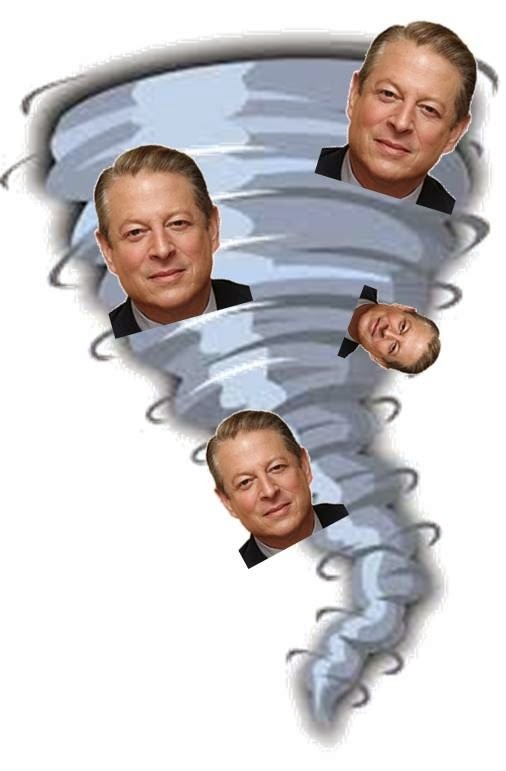 If I think of anything 'nado related, I'll be sure and let you know because those were pretty awesome! I haven't even fired a gun since I was a cadet back in school, but so what, as long a monkey does the job, etc.